Thank you so much for this informative thread @Matrix Leader. I installed Windows 10 on my laptop following all the steps, step by step, but i got some problems. In post #15 i couldn't disable WdNisSvc and WinDefend. In post #21 i called Microsoft 3 times and they kept telling me my ID is invalid, but the windows activated itself when i connected to internet. In post #28 i connected to internet and made a search for updates. the windows downloaded and installed all the updates without asking me, replaced some OEM drivers like Graphics drivers. should i uninstall the updated drivers and reinstall the OEM drivers? another problem i don't think it's related to the thread but I installed CoreTemp and i keep getting this crash message "http://prntscr.com/8fa03e", it was working before and i am not sure what's causing it. CPUID HWMonitor can detect the temps with no problems and i use this app because it allows me to add all cores temps in the taskbar, hopefully you know any alternative app. Finally, about the antivirus. what do you think about Malwarebytes Anti-Malware? For Post #15, that means you didn't properly disable Windows Defender. Go again to Control Panel > Windows Defender and check is it showing a status in RED that it is disabled? If not, then you need to disable it again, follow the guide and do it one component at a time, then exit after disabling each component then enter Windows Defender again and disable the next component. Only when Windows Defender is really fully disabled can you delete those registry entries. It is vital that you disable them if you want to install your own AV and have no conflicts. For post #21, it took me 2 attempts to activate via phone. The first time it always tells me "An error was detected, please repeat your last entry" when I enter the first installation ID. Also, if this is the first time you activate Windows after an upgrade from 7/8 to 10, you will need to activate it through the internet first which you did now. So you should be fine. 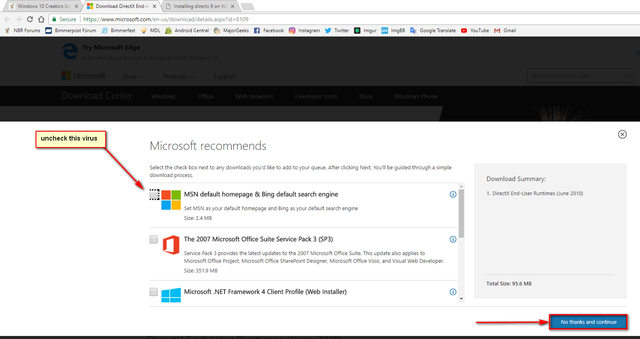 For post #28, do you have Windows 10 Home or Pro? An alternative solution to disable driver updates it to set your connection as a metered connection then tell Windows Updates to never install drivers over metered connections. Let me know how this all goes once you try it. As for MBAM, it is a great companion for any AV. I have a lifetime license for the Pro edition but I never use it as I don't want two security solutions running on my system at the same time. Even with my high end system, I can feel the slowdown. Not because of MBAM, but that's what happens when you have 2 security solutions. If you are ready to compromise a bit of performance then it's good. I don't use it because: A) my system is clean, I never use cracks or anything, everything is licensed/genuine so I never even encounter dangerous files to start off with. B) MBAM has never found anything but false positives on my system., I know I can add them to the whitelist, but this just adds one more thing to worry about. I choose to run 1 good AV and be done with it. Which is NOD32 AntiVirus, the only AV that has never failed me. The new NOD32 v9 Beta is stable as a rock, lighter than v8 and v7 and the final version would be out soon. hmscott and AhmedouviX like this. For windows defender, it's disabled as shown in picture, but in settings there is an options i missed disabling. unfortunately i can't disable it now. For windows updates, Sorry but i am not completely understanding you. Should i reinstall windows and apply these settings? or i should uninstall the updated drivers and reinstall them after changing settings? Downloading NOD32 now, too many friends advised me to install it. For Windows Defender, first it seems that you have disabled it through Group Policy as per my guide, so now, turn off that Group Policy Setting, then you would be able to access Windows Defender, then disable the Real Time Protection then re-enable the Group Policy rule to turn off Windows Defender, now you would be able to disable those 2 startup entries. Now Uninstall that driver, reboot, then install your own driver. Hopefully Windows should not update the driver again. As for NOD32, indeed, been using it for 12 years since NOD32 v2 which was the lightest AV on the planet in those days. Now they added a lot of extra security features like HIPS (Hosts Intrusion Prevention System) and HTTP scanning so it became not as light as before, but not heavy as well. It is the only AV that respects its users, doesn't leak any data to any organization, has a great support forum, doesn't restrict you from re-installing it again, so if you format a lot like me, rest assure you'd be able to activate it with your license every single time! Unlike other AVs which would blacklist your license after a few activations. Also, it has the best user interface and doesn't need to install any add-on on your browser for it to work! Do not even bother with NOD32 v8, grab the latest BETA v9, install it, let it update, then it will prompt you to reboot. It is super stable and is almost out as final, it's just a matter of days. Remember to download the 64-Bit version. Also, don't bother with Eset Smart Security, the firewall it has makes it really heavier and it has a lot of stuff you may not need like Parental controls. As simple as they look, it took a lot of time for me to figure out why the heck Computer looks so weird when I first open it, where the heck did Micro$h4ft hide all my drives? 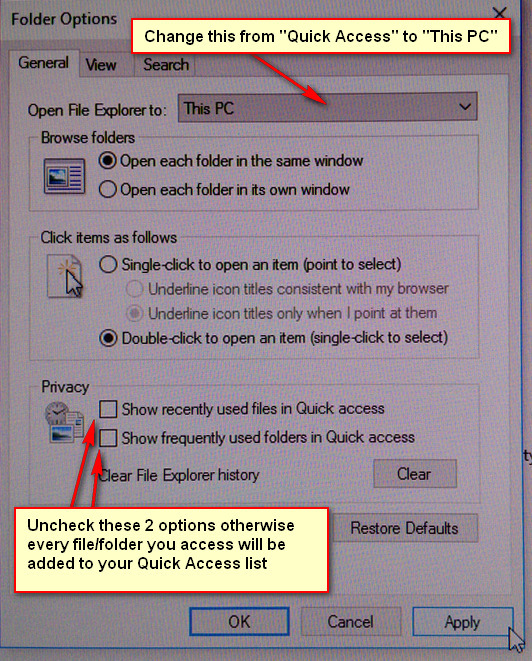 Then with a bit of tinkering around in the File Explorer Options AKA Folder Options, I noticed that by default Computer opens up in the QuickAccess view, how convenient........Not! about the Windows update problem, i remember that HP, at windows 10 release day, recommended updating drivers through windows update but i can't find their statement now. i will try your method with the nvidia graphics driver and post my feedback.